The best way to learn is ask questions. I am writing this beleiving that you are a student who have often heard this phrase “ To read between lines”. This is a word often our teachers say us when we ask them what is the best way to learn. But they would never give you a clear picture of how to do it. This article would help you achieve not only in reading between lines but also reveals the power of this method in achieving yours dreams of becoming a knowleadge person. The method is ASK QUESTIONS. To elaborate, think you are a mechanical engineer and your book has lot of stuffs that bore you. Lets say you are learning about a car. So start by asking questions regarding a car like “ WHEN WAS THE FIRST CAR BUILD? , HOW IS A MODERN CAR DIFFERENT FROM THOSE CARS? , WHO BUILT IT? WHEN WAS IT? WHICH IS THE FASTEST CAR? ARE THERE CARS THAT RUN WITHOUT FUEL? etc “ . Haha! now you might be wondering how these questions can help in understanding this book in front of me. It will help because intention of such questions is to bring your brains attention towards the topic car. When you ask question you are telling your brain that this topic is highly important to you. Most often even when we read our passionate topic we get bored or sleepy in between. This is because what we think and what our brain think of a thing is entirely different. 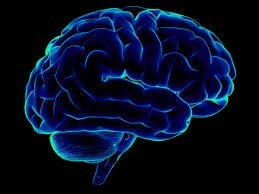 Our brain get interested in a thing if it can link it to something else that is already present in it. Thats why i said you to ask questions. These questions will be your brains link to attach these topic. You would be surprised when you read something after this exercise. You will see you even can memorise important dates or facts with much ease. The important note is that the more questions you ask the more better.You even can do this in another way. Try memorising some info about a topic and these facts will be a platform for your brain to link and hence you will feel it more interesting. So start googling your questions about anything and start reading it. Make a change in your life.